Dr. Cheba is a certified specialist in orthodontics and the owner of Clarity Orthodontics. Dr. Cheba grew up in Calgary and attended the University of Calgary for his Bachelor of Science, so he is no stranger to Alberta. He was accepted into dental school at the University of Manitoba. After graduating, he remained in Winnipeg to practice general dentistry in a large group practice for five years. 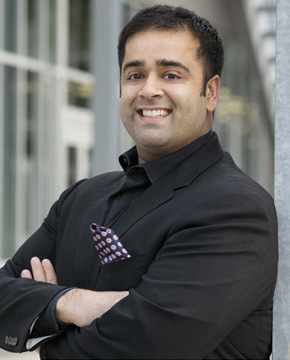 In 2009 Dr. Cheba returned to the University of Manitoba for his postgraduate program in orthodontics. You will quickly experience Dr. Cheba’s energy and passion for orthodontics. Building relationships and getting to know his patients on a personal level is what distinguishes Dr. Cheba and his team at Clarity Orthodontics. Dr. Cheba and his wife Arpit have a son, Vihaan, and are proud to live and be involved in the local community.